Imports of apples from Serbia to Russia may be banned, as a sudden increase in supplies raises fears in Moscow the fruit could have been re-exported from Poland, who is under a food embargo, Russia’s agricultural watchdog warns. 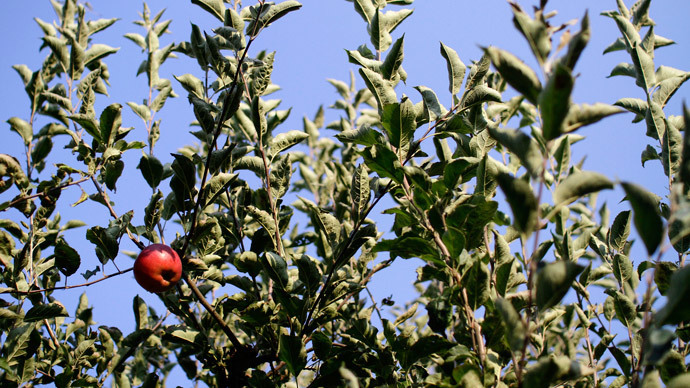 Russia’s agricultural service reported a significant increase in the supply of apples from Serbia, said Rosselkhoznadzor’s spokesperson Yulia Trofimova. "We suspect that the apples are, most likely, re-exported. Chances are they are Polish,” she said. "We cannot definitely confirm it yet, as we’re waiting for a response from Serbia,” she said. “Ten days is enough for a response. If no reply comes, then we’re likely impose a ban," she said adding that the ban would apply not only to apples but to all plant products. The watchdog has repeatedly reported a significant increase of deliveries to Russia from Serbia, not only of apples, but of vegetables and root crops as well. In early January Russia suggested bilateral regulations to control the supply of fruit and vegetables from Serbia to the Russian market. Since the introduction of the food embargo the export of apples from Serbia to Russia has increased by 48 percent to 118,000 tons worth $98 million. In August 2014 Russia limited imports of goods from the US, the EU, Canada, Australia and Norway for a year in response to the sanctions imposed by these countries over the Ukrainian crisis. The embargo was placed on such products as meat, dairy, seafood, fruit and vegetables.